Let us know if you are going to be attending a FLYC event! Click here to see what's happening with the club! Will be on Tuesday, March 12th, starting at 7:00pm. 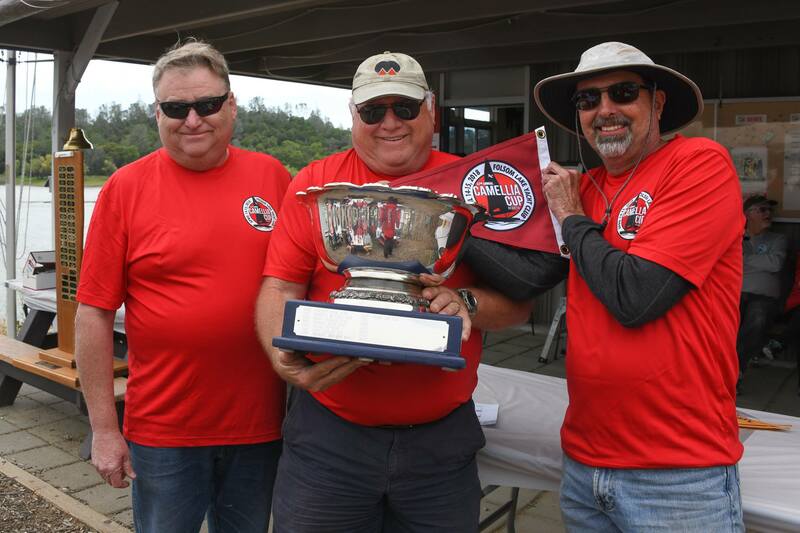 Camellia Caup & Trans-Folsom regatta NORs are now available under the Events tab. Head on over to the Events / Seasonal Series Races page for all of the dates and the NOR/SI's for the Spring Series. The full 2019 sailing schedule is published. Camellia Cup - 4/13-14/2019 - Rescheduled due to conflicts with other major regattas! The first race of the year is less than a month away! If you haven't signed up for R/C, contact Jon Kim to see how you can help out. What a great weekend of sailing!! Friday had perfect wind for the practice race. Saturday had very little wind but offered a tough challenge. The beer was cold, the BBQ tasty. Then Sunday offered some of the best wind you'll find at Folsom, slightly overcast and smooth water. Awards were delivered and a new Champion of the Camellia Cup, Mark Erdrich accepted the cup and thanked his awesome crew. Long time connections were renewed and many new friends were made. The members of FLYC and all of the additional volunteers really make this a special event. Thank you!! Download the FLYC calendar to your phone! You can now download the FLYC calendar to your phone, and when the calendar is updated, your phone will automatically get the updates! Now go to the calendar app, and you should see the upcoming events. Click on 'Add Calendar' and that's it. General information about the Folsom Lake Yacht Club. Messages sent to this list will include meeting and event reminders and other information about the club. This mailing list is used to notify members when new issues of the Telltale newsletter has been posted. Information specific to the Centerboard and Banshee Fleet members. Information specific to Keelboat fleet members. Information specific to Santana 20 Fleet 12 members.